Since completing the Sauvé Program, Yael has worn several different professional hats. The first position she accepted after leaving Montreal in 2004 was that of Head of the North American Desk for the Israel Defense Forces Media and Communications Division. In this capacity, she was the spokesperson for 3,000 journalists who flocked to the Gaza Strip as the army, the police and 10,000 Israelis were moved out the small strip of land. She interviewed on every major TV news station, daily newspaper and magazine in the US and Canada, and was on the ground for a period of two months, living and working in the emptying Israeli communities. After the Gaza Strip was evacuated, she was moved to the West Bank, where she helped the foreign press cover the fight over the Security fence. Yael then returned to the US to pursue experience in American political campaigns. She worked in New York as a campaign publicist for several different politicians in Israel, the US and Eastern Europe, as well as financial and technology Fortune 500 companies. She plans to return to Israel to register as a party member in one of the largest political parties in Israel, and begin her political campaign to become foreign minister, while pursuing a PhD in economics at Hebrew University in Jerusalem. 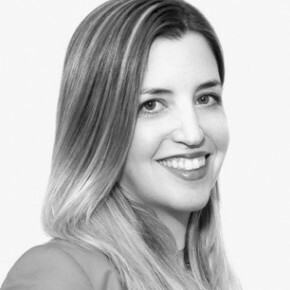 Yael is currently Vice President and General Manager of Strategic Communications Group at RJI Capital Corporation, in New York State. As a Fellow, Yael refined her media relations skills. She also wrote several op-eds in Canadian and US newspapers and journals about the conflict in the Middle East.